Liverpool and Chelsea have between them made a small piece of Premier League history today after both winning their fifth games of the season. 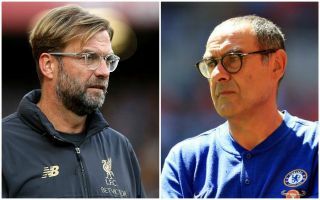 Liverpool won 2-1 away to Tottenham while Chelsea were 4-1 victors over Cardiff City at Stamford Bridge, with both teams maintaining 100% starts to the 2018/19 campaign. Remarkably, that means two different teams have started with five wins from their opening five for the first time in the Premier League era, and only the third time ever in the history of the English top division. This is according to stats account Opta Joe, who state the only other two occasions this has happened in England were in the 1905/06 and 1908/09 seasons – both over a hundred years ago. 3 – This is the third time in English top-flight history, and first time in 110 years, that two clubs have won their opening five games of the season (1905-06 and 1908-09). Antique. This fast start by the Reds and the Blues – along with some fine form from reigning champions Manchester City as well – truly makes for an intriguing title race this season. All three sides look among the very best in Europe – with Liverpool and City likely to be forces in the Champions League as well.